Frequently Asked Questions are answered by clicking the links below! Check out these Frequently Asked Questions and if you can’t find the answers you’re needing, contact us directly using the above info. How do I get on the Members Web site? 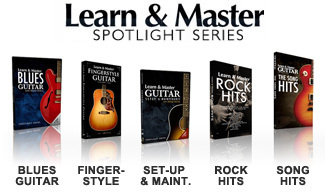 What is the difference between the Original vs. the Expanded Edition of the Learn & Master Guitar course? Can your guitar course be used for a left-handed person? What type of Guitar do you recommend?